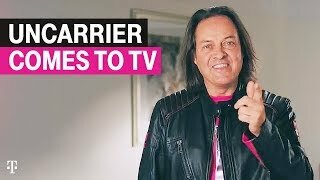 The latest T-Mobile team is changing TV for good. Old TV is out. New TV coming. You can be part of what’s next. This is TV for the mobile age. Build a better digital experience. We are a team of innovative, agile, and passionate game changers with opportunities across the board—from software engineers to sales leaders. We are a tech giant that makes major industry moves with the spirit of a startup and we’re building the future of the TV industry. We changed wireless. Now we’re transforming TV. T-Mobile is made up of 50,000+ individuals marching together to change industries for good. The Home + Entertainment team is the latest to challenge the status quo by putting customers first. TV will never be the same. Come help implement the network of the future. 5G is built with the customer experience in mind and you can work to bring it to more Americans than ever. We are committed to providing the best to our customers with products and services that blow them away. We are ready to show people what happens when high def digital meets high def experiences. We’re also stepping up for the environment, using vehicles that have zero emissions for install jobs. It’s just one more thing for our team and our customers to be proud of.